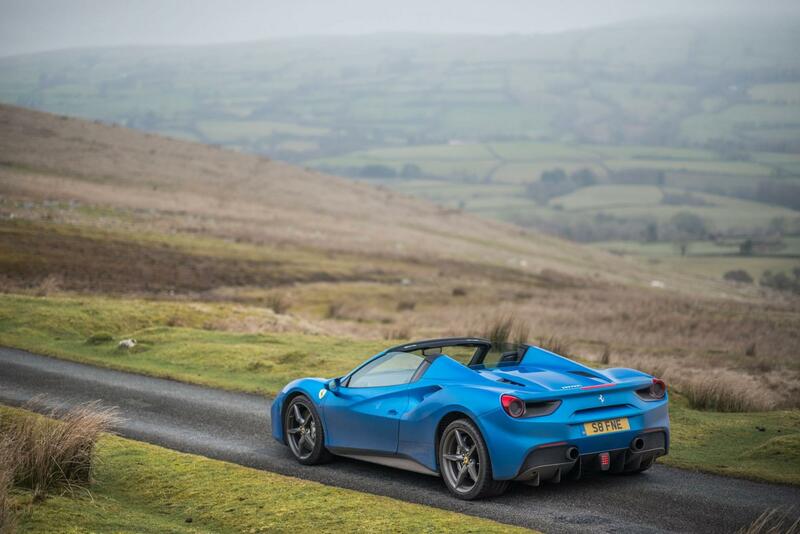 Brecon Breaker: a gallop through the Welsh countryside gives the Ferrari 488 Spider the chance to really let rip. In 1947, Italian racing driver, designer and engineer Enzo Ferrari wheeled out the first official Ferrari from his factory in Maranello. Little did he know he was laying the foundations for what would become the pinnacle in supercar performance. Ferrari has captured the imagination of young and old for 70 years, and in the spirit of true Britishness, I was to experience the 21st century Ferrari on a wet spring day, journeying from London to Wales in search of roads suitable enough to unleash the new 488 Spider upon. Out on the open road, the car is all power. 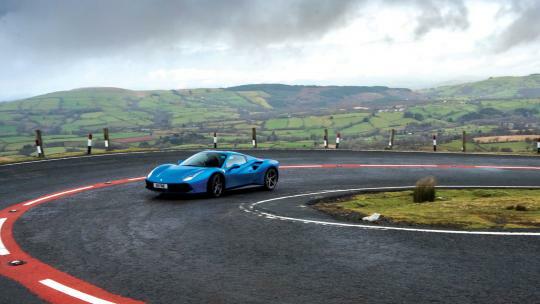 Careering along the Black Mountain Pass in the depths of the Brecon Beacons, the unrelenting force of the Ferrari had me on the edge of my seat. Hard on the carbon-ceramic brakes and a quick downshift into second sees me hug the racing line around a slippery hairpin. As the 488 Spider grips, I ease back onto the throttle. The rear tyres let out a squeal as I push the throttle harder. Reaching 3,000 rpm, the valves open further and a raucous growl erupts from the exhausts. I upshift at 5,000 rpm, making my way through the gears as I pummel along a straight on the road. In the distance I can see wild horses roam across the highlands, their attention captured by the prancing horse rushing towards them. Ferrari revealed the 488 Spider last year to universal acclaim. The successor to the 458, the 488 furthers Ferrari’s determination to produce outstanding race-tuned machines. With its 3.9-litre twin-turbocharged V8 engine pumping out an impressive 661bhp, the 488 Spider shows what Ferrari is really capable of. While the unveiling of the new V12 812 Superfast in Geneva earlier this year highlighted the capacity of the naturally aspirated Ferrari engine, the smaller, and altogether beastlier, V8 in the 488 is a lesson in performance engineering. 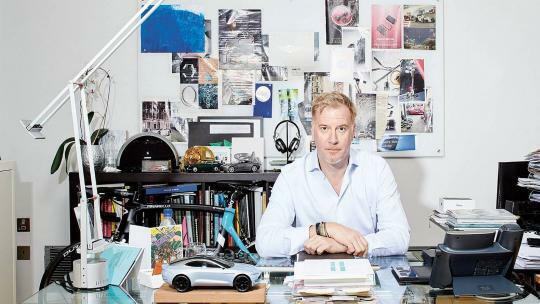 Fitting in a car that takes 90 per cent of its technology directly from Ferrari’s Formula 1 team. The 488 is, in a way, terrifying. You’re at the helm of a highly tuned racing machine, a machine far more capable than the average driver’s ability allows. The car, however, holds itself so well that it never seems in danger of losing control; it toes a fine line, but one that’s never crossed. The rigidity of the model certainly plays a part in this, as the Spider maintains the same structural integrity as the coupé. The seven-speed gearbox is also designed with the thrill-seeking driver in mind; only the top three gears utilise the full 661bhp potential, which means that if you really want that Ferrari-fuelled adrenaline rush, you have to chase the gears and the power. You’ll also get there incredibly quickly thanks to a throttle response time of just 0.8 seconds, essentially eliminating turbo lag. Inside, I’m surprised by the 488’s spaciousness. I’m 6ft 6ins and the 488 Spider delivers some of the best legroom I’ve ever had in a ‘supercar’. It’s also extremely comfortable. 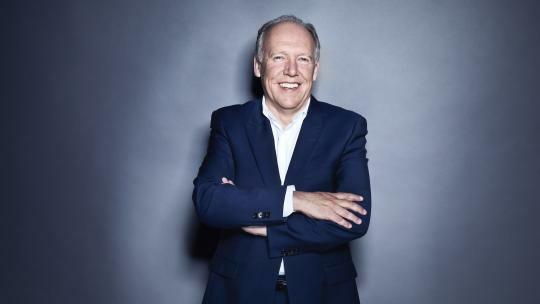 On the long, tiring drive from London to Wales, and the subsequent six hours spent hurtling around the racetrack-like roads of the Brecon Beacons, I was comfy throughout, lumbar pain, for once, not an issue. The retractable hardtop, which effortlessly hides behind the seats, is a great addition, and certainly worth the £20,000 price increase from the coupé. There’s something about driving a Ferrari with the roof down that just feels right. Although I imagine cruising through the Tuscan hills as the Italian sun warms my skin, the reality is rain-heavy clouds perched low in the sky over the frozen Welsh countryside. It doesn’t matter: regardless of where you are, the convertible makes the entire process more sensory. The smells, the sounds, the speed; it all becomes real. It would be improper to discuss a Ferrari and not linger on design. 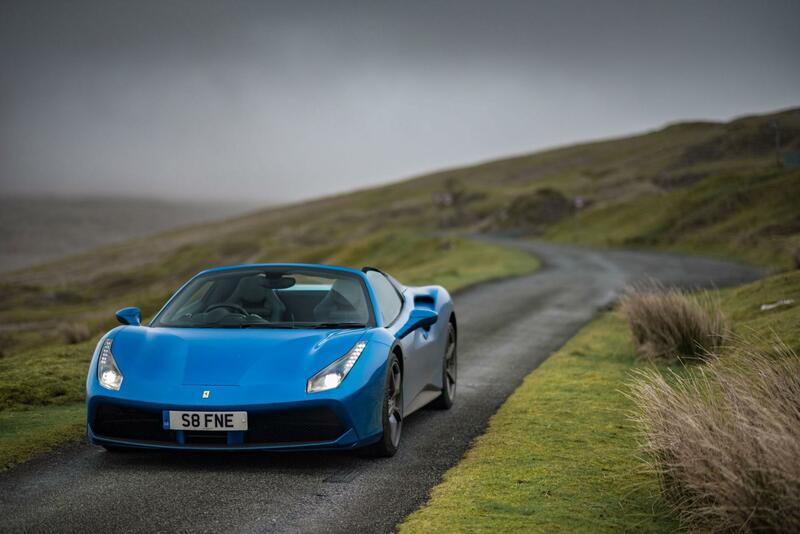 Of course, it goes without saying that the 488 Spider is a stunning machine, and you can see that inspiration has been taken from the legendary 308 GTS. 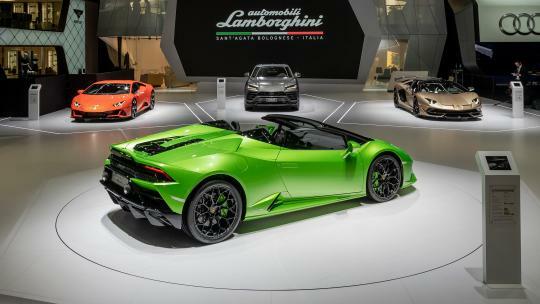 Here, aesthetics merge with engineering; the air-intakes behind the doors, for example, also help to drive air through the rear of the car, pushing the rear tyres hard onto the road for increased traction, offering all the perks of a spoiler without disrupting the aesthetic. The car’s looks change dramatically depending on whether the roof is up or down. In a process that takes only 14 seconds, you gracefully transition between two cars. An impressive feat. Seven decades since Ferrari’s first model, Maranello continues to produce exquisite supercars. There’s something about them that people will always love. The 488 Spider shows how far technology has improved, but what’s more remarkable is how it maintains a 70-year-old charm; there will likely never be a day when the 488 Spider passes you by unnoticed. 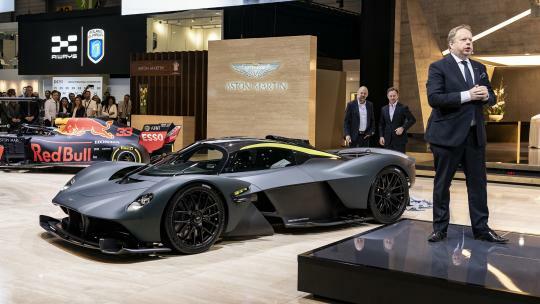 Engine: 3.9-litre, twin-turbocharged V8; top speed: 203mph; Price: from £204,400.